Todd Rider, a biomedical engineer at MIT, seems to have the capabilities of curing every virus found on planet earth. The only challenge he faces is lack of funds. He has several preliminary tests on his experiments and currently resides in the Valley of Death. 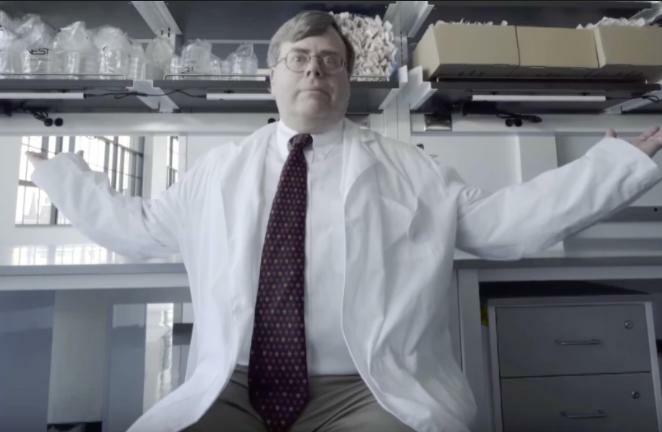 Rider is busy crowd funding for his projects, this is after his major discovery that was made 15 years ago of Double-stranded RNA Activated Caspase Oligomerizer, he has started an Indiegogo campaign, the campaign is being publicized by savvy internet activists. But the effort is bearing few positive feedbacks. Rider has been used to the fact that support can be enthusiastic but not adequate enough. The world has very antiviral therapeutics and the few present have opted to specialize on single viruses or single strains of viruses. Rider was motivated by this factor to develop a universal antiviral therapeutics that would be able to work against a broad variety of viruses. The cells made by Rider have natural ways of being able to detect RNA that is double stranded. The cells are also able to trigger suicide in certain viral cells, but in a natural way. Rider then went ahead to invent DRACO, combining these two natural methods that kill virus infected cells. DRACO has the potential to change the treatment and prevention of the many viral infections facing the world. Rider has received modest amounts of funding from the National Institutes of Health. Big pharmaceutical companies have the resources to be able to manufacture DRACO and the human trials that are needed by FDA. But then they first need to see how effective DRACO with reference to clinical treatment of major viruses. The Valley of death seems to be the financial and experimental gap that Rider is in as he waits for major pharmaceutical companies to provide financial support for the DRACO projects in regards to human trials. One DRACO design has the capability of being effective against a wide spectrum of viruses. The treatment needs an experimental optimization in order to find the best DRACO design for treatment. The initial version had proved to be very successful when it was administered to the mice via injection or inhalation. Rider intends to develop a DRACO pill and will in turn teach the mice on how to swallow pills. Rider is very grateful about the support he has been getting from the supporters. Rider hopes that the crowd funding will provide enough funds to enable the testing and development and testing of DRACO against viruses that are clinically relevant. Rider hopes that more funding will come his way to enable additional research on DRACO. If Rider manages to prove that DRACO is clinically capable of restraining viruses the results will be able to convince the pharmaceutical companies to be able to carry DRACO to a large scale production. The timeline of all this depends on the funding that will be provided.